We aren’t getting enough of it and we need it in our lives. As a matter of fact most of us are getting so little of it, we’re crabby, tense and our long term health is suffering. My favourite F-word is good old reliable Fibre. Most of us know that without enough fibre you can get constipated. Did you know that too much fibre without enough liquid in your daily diet and the end result is exactly the same? What we’re aiming for is enough fibre plus enough liquids to keep everything moving. Throw in some exercise and you have the recipe for great BM success or what I like to call ARBBM (a really big bowel movement). Fibre comes in two forms – insoluble and soluble. Both play important roles in keeping your GI (gastrointestinal) tract and your heart happy campers. And trust me; an unhappy GI will make your life miserable, an unhappy heart can kill you. Insoluble fibre doesn’t easily dissolved in water. It actually holds water keeping all that digested food moving through your GI, cleaning your colon on the way. 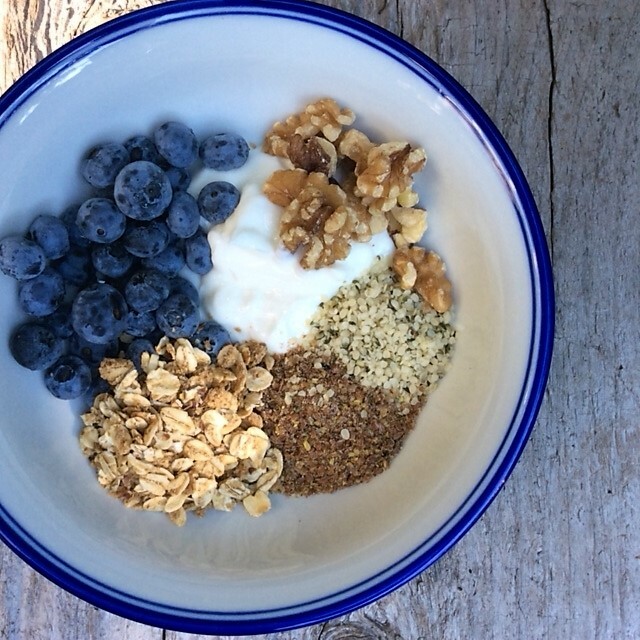 Think whole grains like whole grain whole wheat and wheat bran. Soluble fibre does dissolve in water and as a result helps regulate digestion, helps lower cholesterol, escorts toxins out of your body and helps stabilize blood glucose levels. It’s the reason that oatmeal, barley and flaxseed are getting all the press and health claims from Health Canada. We need around 30 g of fibre every day. Most Canadians are getting around 12-16 g per day. Most whole grains contain fibre but there is a whole other fibre world out there – beans and fruits and vegetables, and one of my favourites – cocoa nibs. Canadian super fibre food ground flaxseed contains both soluble and insoluble fibre. It’s a nutritional two for the price of one. Try to eat 2 Tbsp (30 mL) ground flaxseed every day, adding it to yogurt, smoothies, your morning cereal or even mix it into a nut butter like peanut butter. It has to be ground to get all the benefits it has to offer. Keep the ground flaxseed in a container in the fridge for up to 3 months. Pulses: beans, split peas, lentils and chickpeas, are all loaded with both types of fibre. I have been encouraging people to add pulses to their diet before it was even in. Its so in now, that 2016 was deemed the International Year of the Pulses. Gut health is important to your long term health. The bottom line is make nice with your colon and your colon will send you a thank you note every day.